Angel 1.1, made using one Kami paper. 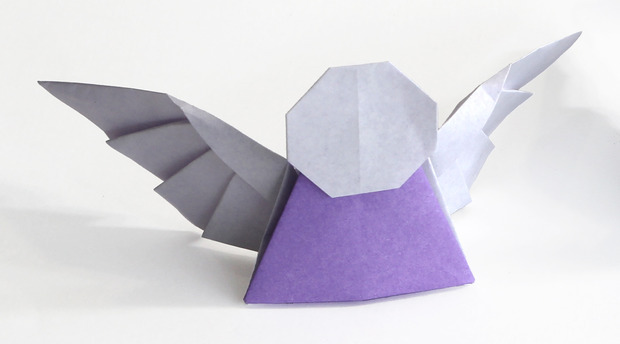 This is the improved version of the origami Angel 1.0, easier to fold and with more details. Origami diagram and video by Tadashi Mori.